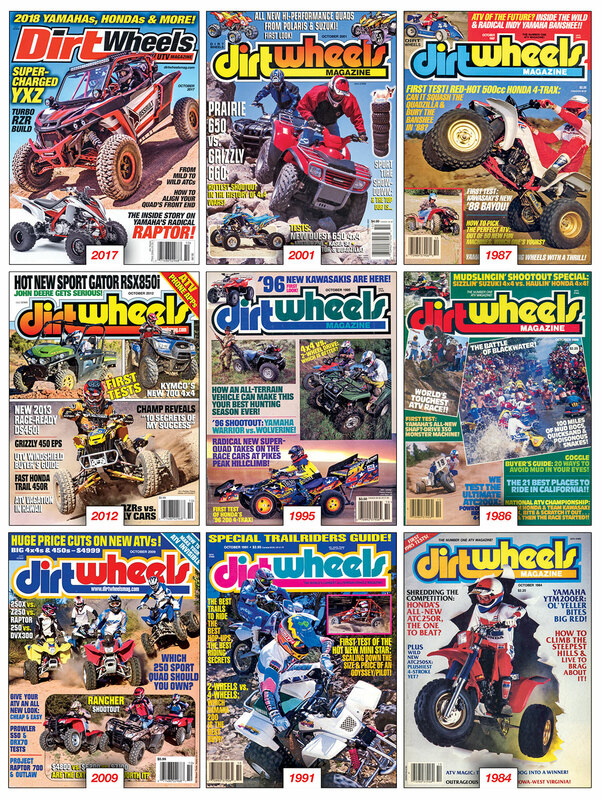 The first issue of Dirt Wheels was way back in 1980 when 3-wheelers ruled the ATV world. Then around 1985 we included quads too. We’ve always been the world’s largest ATV magazine and now we’ve grown to become the number ATV and UTV magazine. In the past 38 years we’ve seen many changes, but riding off-road is still fun no matter what. THE NEW AUGUST ISSUE IS HERE! THE NEW JULY ISSUE IS HERE!